Schoon | Eating. With Purpose. At the heart of SCHOON is a desire to create space for true community. We see ourselves as immensely privileged, because we get to collaborate with incredibly committed local artisans and farmers, using what they’ve produced to create food that we can then share with the people who choose to spend time in our spaces. It’s a very tactile exchange that constantly challenges us to look to the seasons for inspiration as we bake, cook, create and serve. 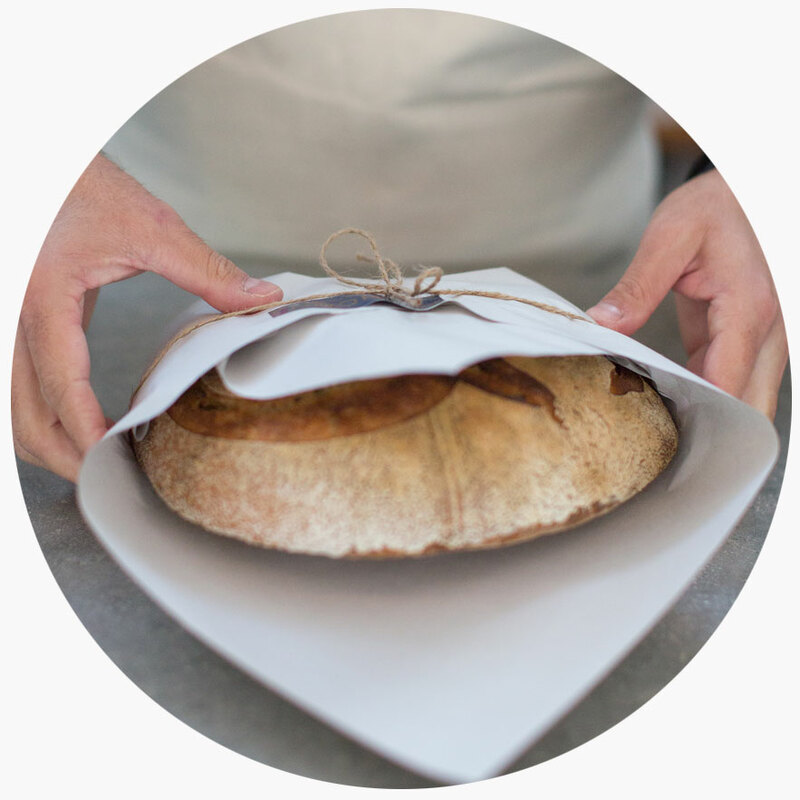 Manufactory (derived from ‘manual factory’) is a term coined by the great Parisian baker, Lionel Poilâne, when he expanded his small, woodfired oven bakery into a larger artisan production space. Our new SCHOON Manufactory at The Bird Precinct in Stellenbosch includes a small café, experimental kitchen, bakery and patisserie – the place where where we brainstorm and create. And while we’re still focusing on bread, pastries and café food, it makes us flexible enough to explore new concepts. In our Manufactory’s little café you can savour an excellent cup of coffee and carefully selected, produce-driven dishes created by Chanelle. 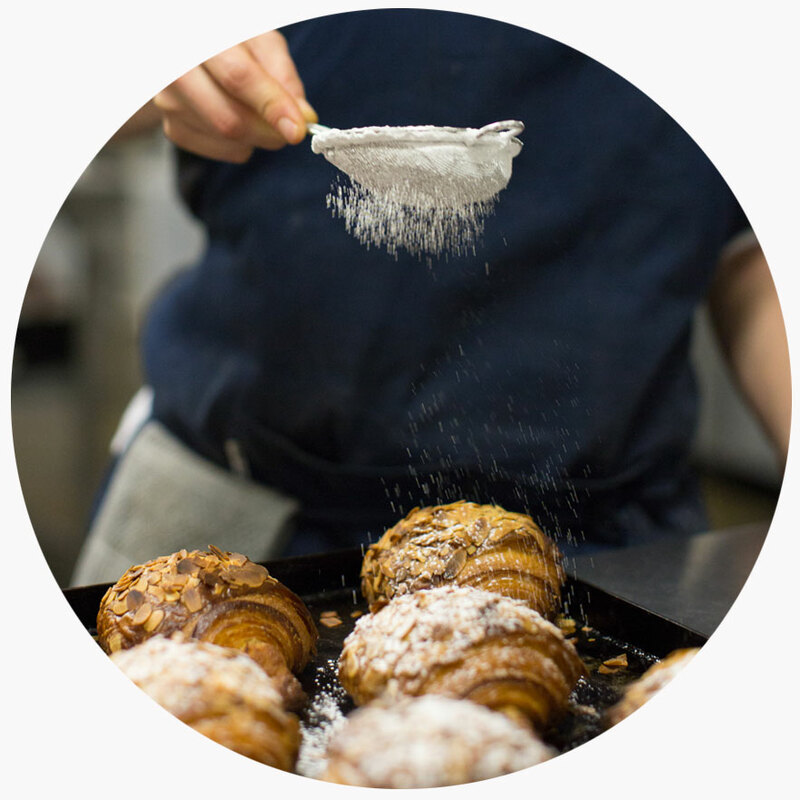 It overlooks the production space, where you can see our SCHOON bakery team working according to ancient, artisan methods. The menu includes SCHOON classics like the famous scrambled eggs on sourdough toast with slow roasted tomato and smoked bacon and the delicious Croque Madame! 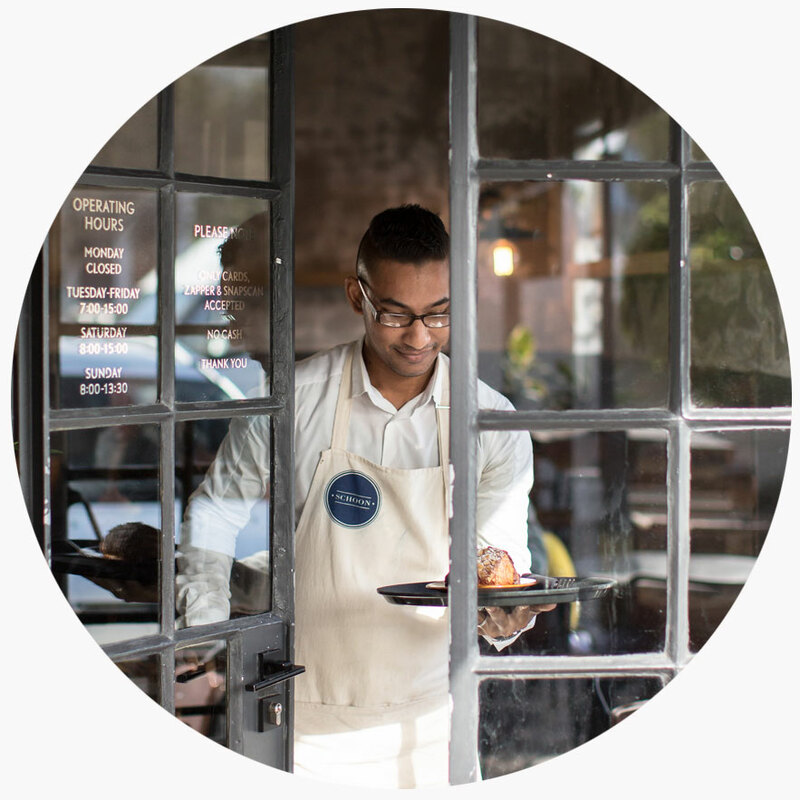 Our SCHOON Café in Somerset West has done exactly what we intended it to, namely take us back to the very reason for starting out seven years ago – serving amazing bread, great food and speciality coffees in a warm, intimate atmosphere. The seasonal menu includes the SCHOON classics like the much-beloved brioche French toast with roasted apple, brie, buchu syrup and clotted cream! 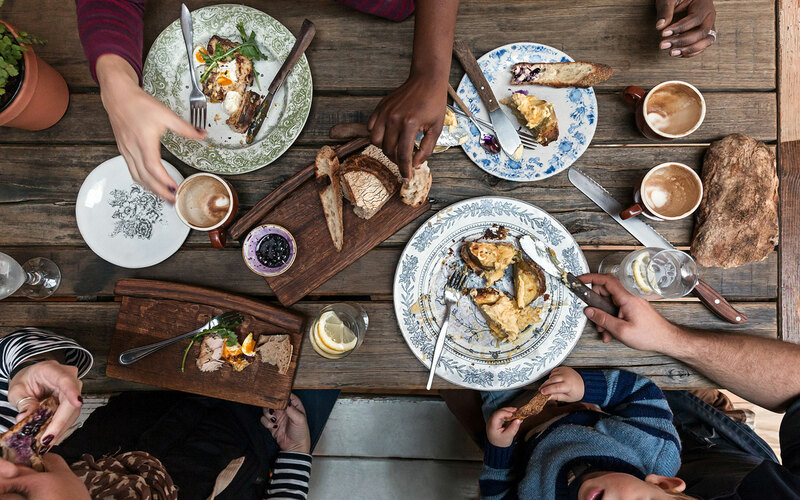 The De Wet Centre’s courtyard, just off Church Street, is becoming home to a new, first-of-its-kind experience in Stellenbosch. 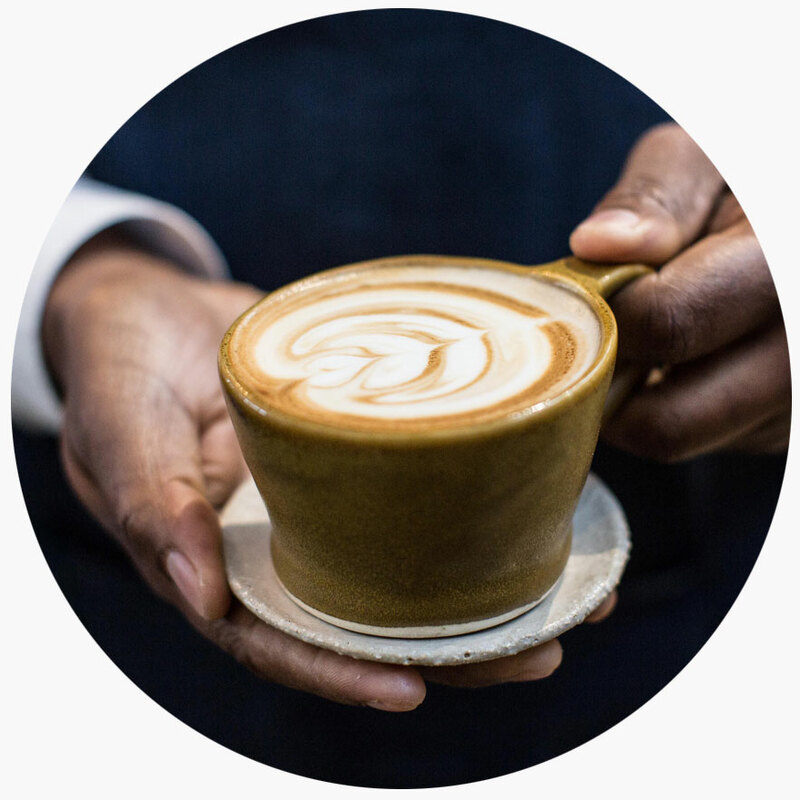 At the hatch, a friendly barista serves great coffee and freshly baked croissants on the go. Enticing offerings like pork loin and gruyère croissants with wholegrain mustard or creamy caramel cronuts with salt and sugar spice may even encourage you to rest in the shade of the old oak trees for a moment. Please note, we accept the following payment options, no cash. Alternatively you can download our pre-order app here. Contact us on production@schoon.co.za if you’d like to know more about our wholesale options. Copyright 2017 @ Schoon. All rights reserved. Website by Because Stories.